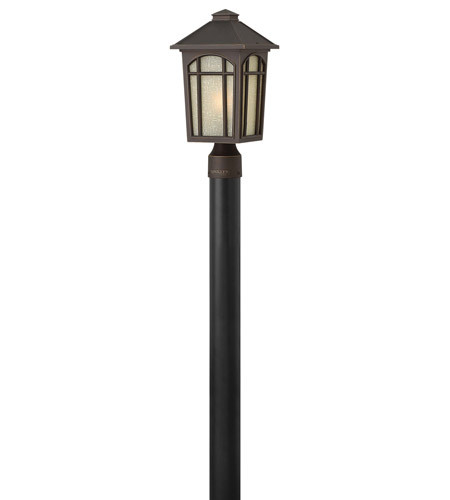 Cedar Hill is a traditional outdoor lantern in durable die cast aluminum construction with medium base lamping. This four-sided soft taper design features linen glass behind arched window pane panels and is available in two popular finishes. Interchangeability All Hinkley Posts and Post Lights have a 3-inch diameter base, and can be used with any Post-Adaptable Hinkley fixtures.